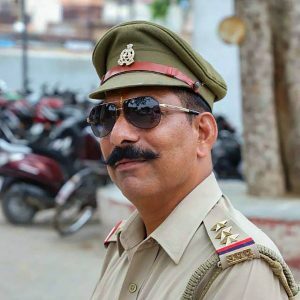 The police believe that it was the allegation of cow slaughter that led to the violence and the killing of SHO Subodh Kumar Singh and therefore needs to be investigated first. New Delhi: The Uttar Pradesh police have shifted the focus of their investigation into the Bulandshahr violence, in which a police officer was killed, to probing allegations of cow slaughter. According to the Indian Express, additional superintendent of police (Bulandshahr) Rayees Akhtar said the main concern was to find out who killed the cows. “After all, it was the killing of the cows that led to the protest, which resulted in Inspector Subodh Kumar Singh’s murder. Our belief is that once we solve that case, it will throw light on how the murder occurred. The cow-killers are our top priority. The murder and rioting case is on the backburner for now,” he said. On Tuesday night, a day after the violence, UP chief minister Adityanath had also ordered a probe into the alleged cow slaughter, choosing to ignore the killing of Singh. “Tough action needs to be taken against those who carried out cow slaughter,” a press release said, but did not say anything about Singh’s death. The police have arrested four persons – Chaman, Devendra, Ashish Chauhan and Satish – for allegedly being involved in Singh’s murder. The main accused, Yogeshraj Singh, a member of Bajrang Dal is still on the run. Four persons have also been arrested in the cow slaughter case. Initial reports of these arrests cast doubt on the presence of those named in the FIR in the area when the carcasses were found. Two of the seven named in the FIR were minors, while one did not live in the village any more. Three others named were people the villagers had not heard of. On Wednesday, Yogesh Raj, the prime accused in Singh’s killing, released a video in which he claimed innocence. He claimed he was not present at the police station when the police officer was killed. “Once peace was established in the area, we went to a nearby police station to lodge a complaint. I was still there when I heard that clashes had erupted, leading to the death of a youngster and a police officer,” he said. On Thursday, the ninth accused – Shikhar Agarwal – in the killing also released a similar video. He blamed Singh for his own death, saying his resistance to file an FIR about the alleged cow slaughter led to the violence. Agarwal is a member of the BJP’s youth wing. According to the Times of India, the police will initiate the process to attach the properties of the accused who are fleeing. Under section 82 of the Code of Criminal Procedure, an absconding person is given 30 days to appear before the court. Otherwise, the section 83 allows the police to seize his property.